This was a historic first time that teams have competed in a tournament. 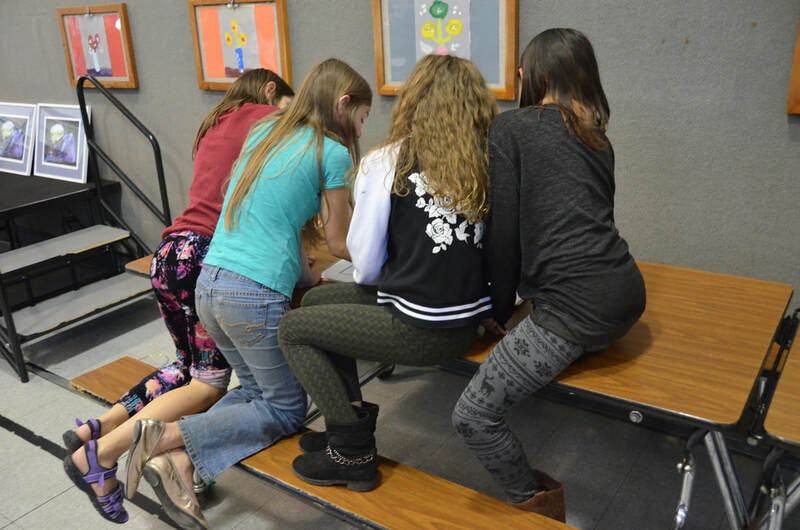 And the kids loved this new form of competition, working together to solve a mental challenge. 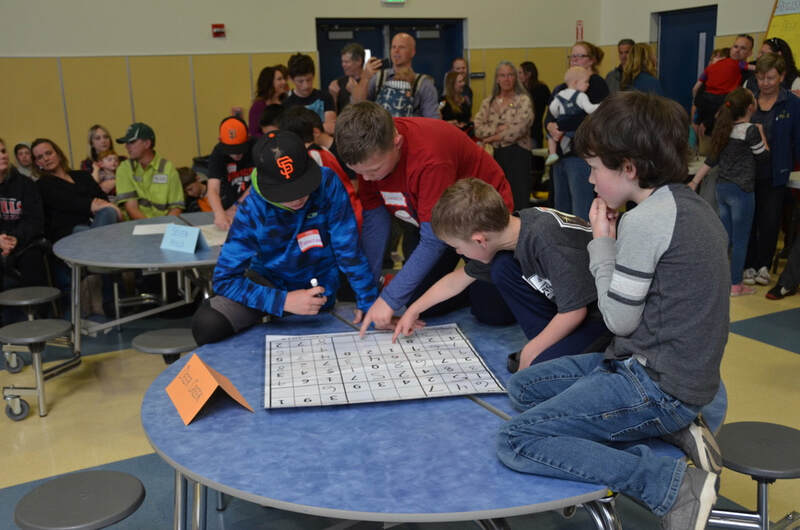 On April 19, 2018, we held the SECOND ANNUAL CHILDREN'S TEAM SUDOKU TOURNAMENT at Nevada Union High School in Grass Valley, California, from 4:00 to 6:00 PM. 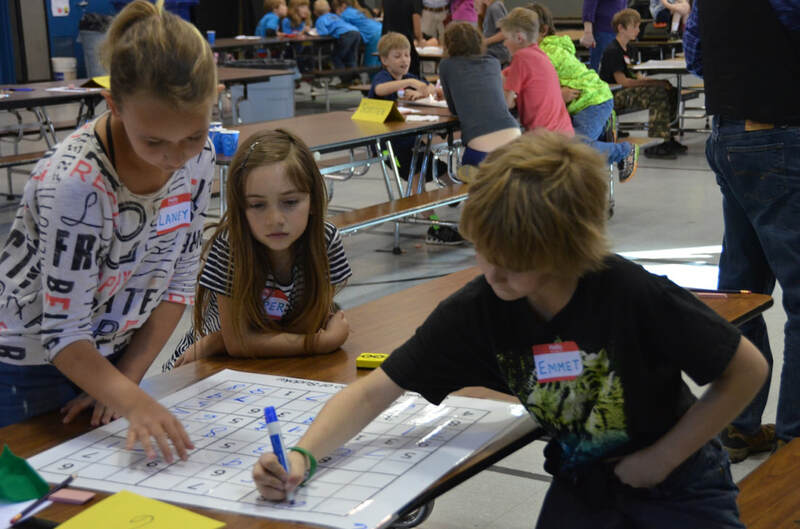 It was open to teams of 3 or 4 children in grades 2 through 6. 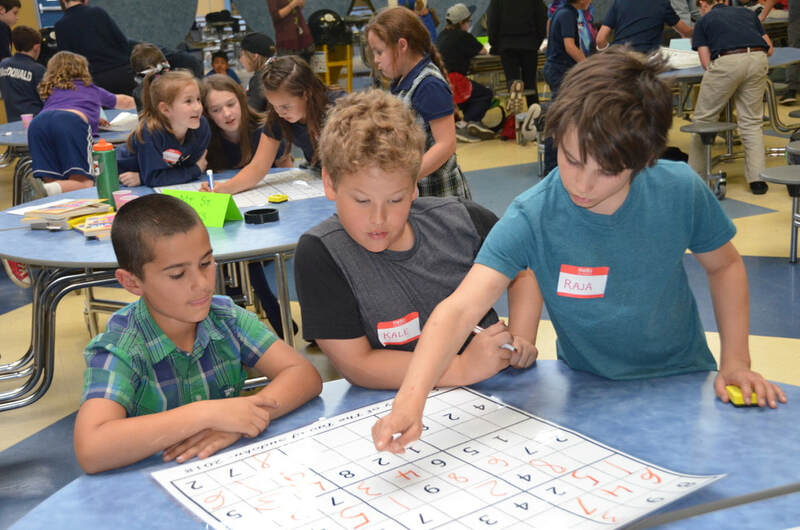 Eighty-eight children from nine schools competed with focus and enthusiasm. 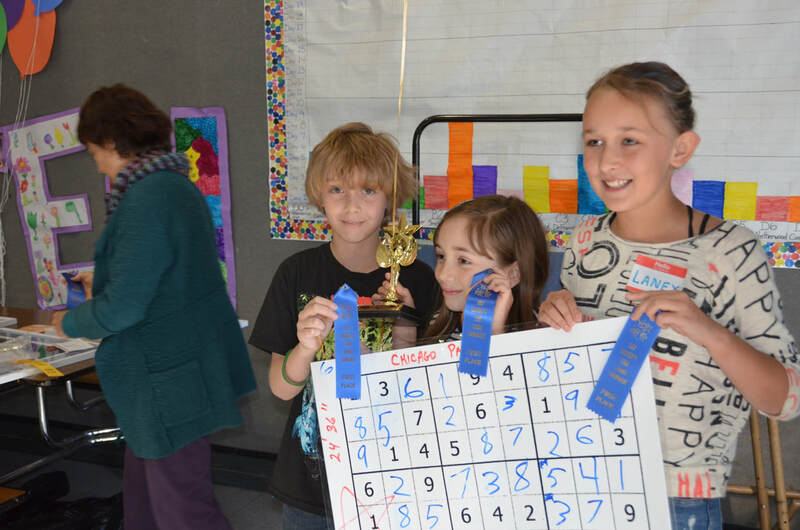 Deer Creek came in first, a team from Forest Charter placed second and Nevada City School of the Arts was third. All were excited and happy and given puzzles books to take home and prepare for next year's tournament. All photos below were taken by Adele Taylor Mills and Roger Lewis. All tournament photos below were taken by Adele Taylor Mills. 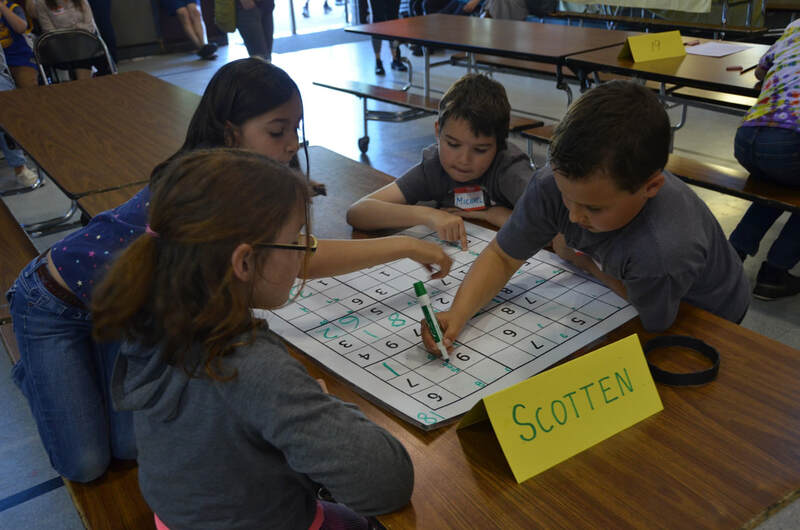 ​The Nevada County Sudoku Society, in the foothills of California, sponsored the FIRST ANNUAL CHILDREN'S TEAM SUDOKU TOURNAMENT on April 27, 2017 at Scotten Elementary School in Grass Valley. 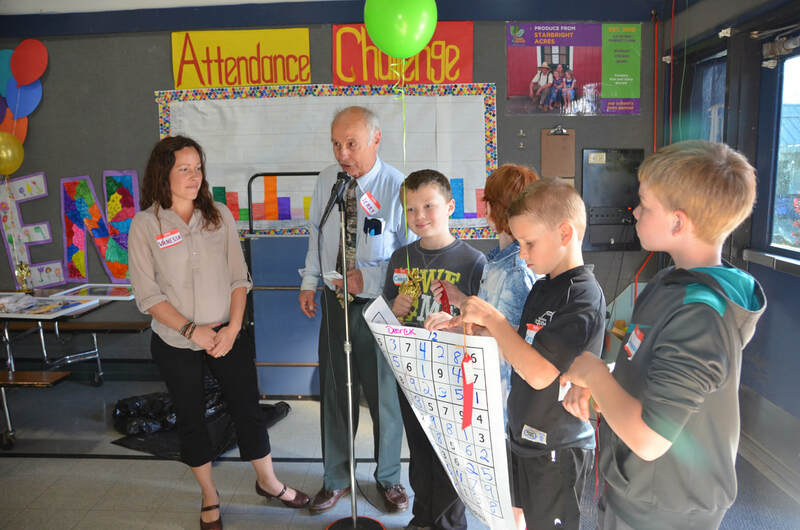 All children were in 1st through 5th grades. 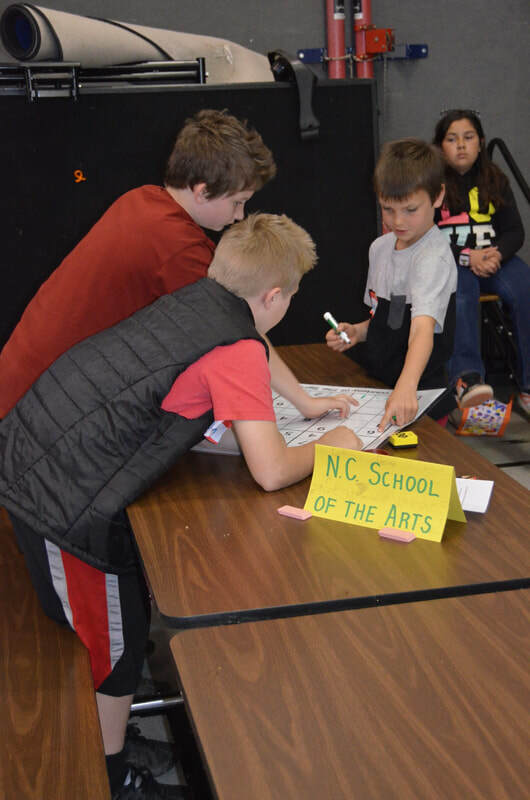 A team from Chicago Park placed 1st, a team from DDeer Creek came in 2nd and a team from the Nevada City School of the Arts took 3rd. All children were intensely focused and worked well together to solve these mental challenges. They had fun, while seated, without electronics. Many will return for a second tournament next year. 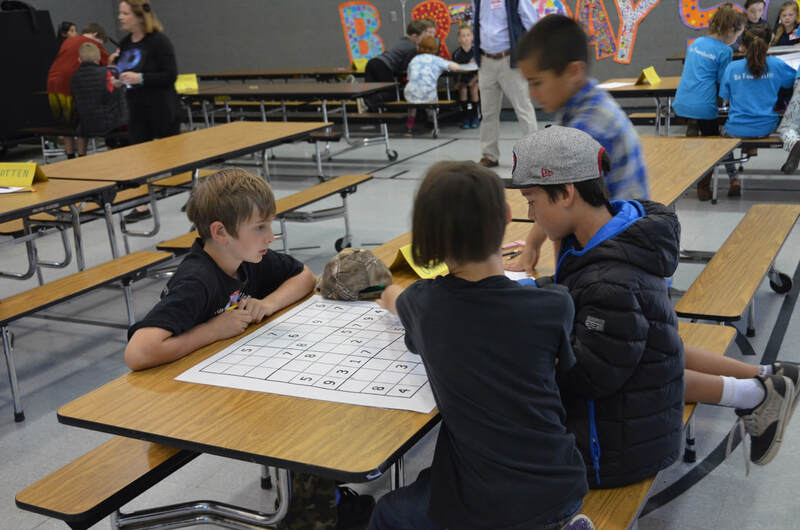 In 2018 the tournament will include children in grades 2 through 6. 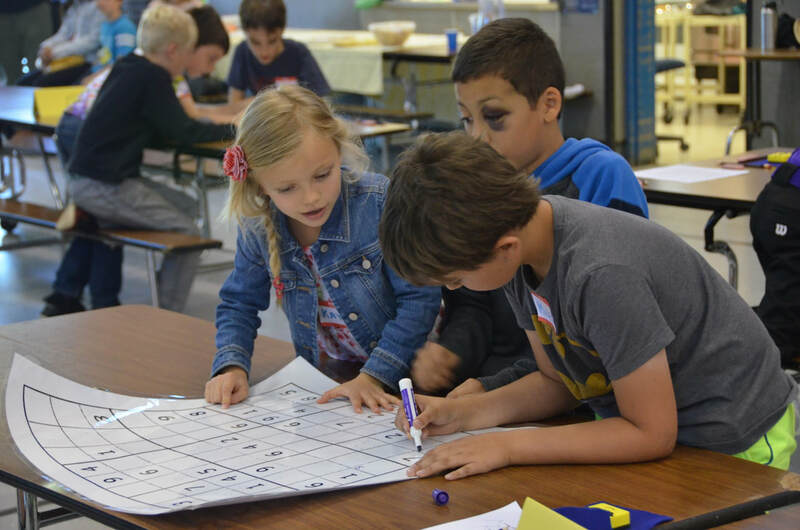 Working in teams gives children strong feelings of belonging and friendship and teaches them to work with peers constructively to solve a common problem. I need you to recruit one or more teams from your organizations to participate next time. We will help train them. 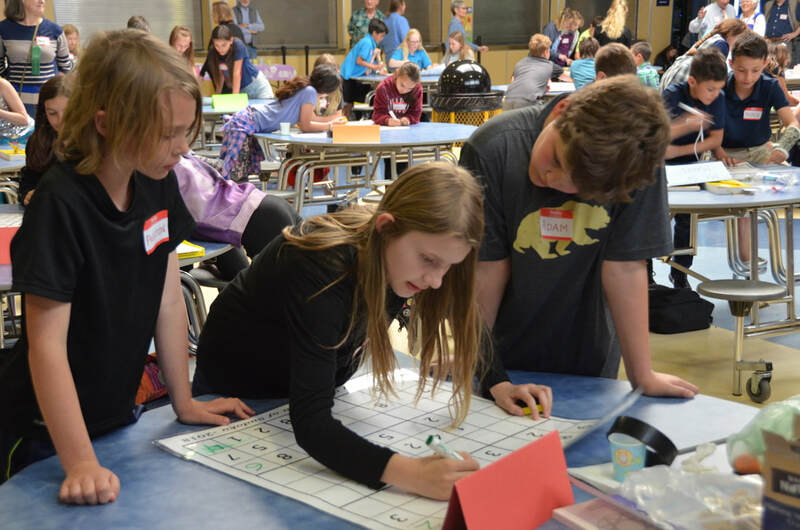 On April 27, 2017, we had 71 kids on 20 teams from 10 local elementary schools. 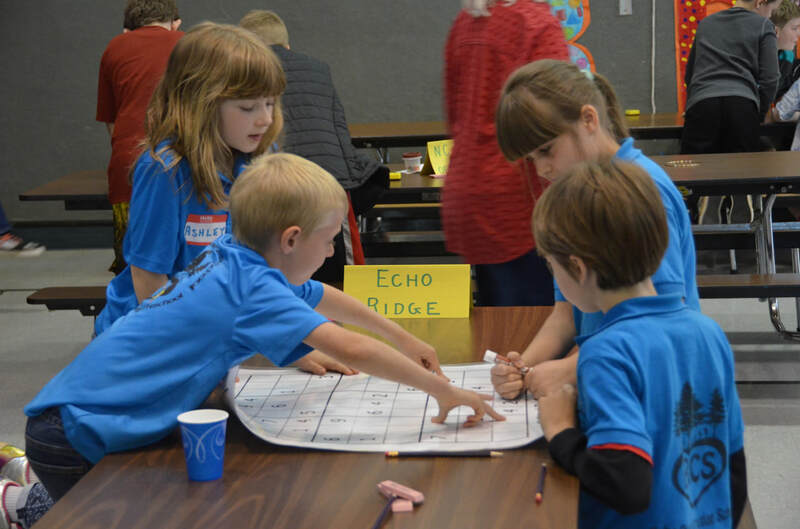 We were all impressed by the fervid intensity and collective concentration of all these kids, rare teamwork for kids this age while sitting, having fun without electronics, solving a mental challenge. Sudoku doesn't teach what to think. Rather, it teaches how to think. This makes it applicable to all areas of life that require critical thinking. Until now, Sudoku has almost always been done by one human working alone, a competition between a human and a puzzle. Almost all Sudoku puzzles in books, newspapers and magazines are designed for solo solving; small, about 4" by 4". I have been doing Sudoku alone for 12 years. But when done by teams, a very unusual event, worldwide, in 2017, Sudoku is a competition between a puzzle and several collaborating humans. It is never a competition between two humans, as is checkers and chess and many card games. Done alone, Sudoku is an excellent tool for teaching and training basic logic. But it does nothing for teaching more social skills. Solving Sudokus in teams fills this gap. Sudoku demands total, 100% accuracy. Every puzzle has only one correct final solution. Whenever a Sudoku cell (small box) is solved, and this happens about 45 times each puzzle, only one correct answer is possible; eight wrong answers are also possible. And one wrong answer will always result in failure. Sudoku is unforgiving, intolerant of casual, "almost" conclusions. There is no margin for error. So whenever a solution is proposed by a team member, it's always provable, either right or wrong. There's no in between. Feelings are irrelevant, subjective decisions don't work, and it's easy to determine if a solution is correct or incorrect. Disagreements can always be resolved. This eliminates arguments and differences of opinion. This makes teamwork simple and clear. Sure, mistakes can be made, but if they are, it's the whole team's fault, not any individual's mistake alone. To guard against mistakes, I train children's teams to always ask, "Prove it. Show us the eliminators." If they do this together whenever a number is committed to a cell, they will avoid making mistakes. 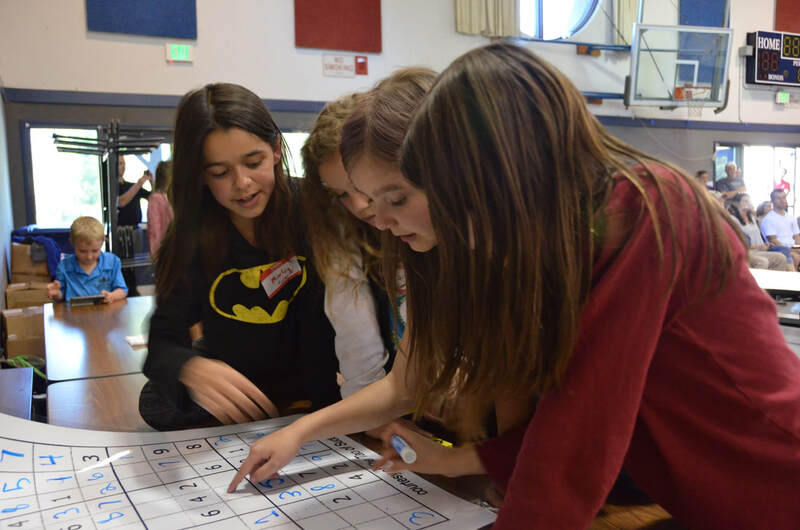 This is one form of good communication developed by team Sudoku. To succeed, team members must work together, cooperating, always able to justify their position, knowing that one mistake sinks everyone's ship. Belonging is a basic psychological need of all humans. Children who don't learn belonging with families or friends or teams or clubs, always develop a variety of psychological pathologies. These problems, in extreme cases, sometimes produce violent reactions such as mass shootings. All mass shooters (excluding Moslem extremist terrorists) have never learned and developed personal belonging. Lack of belonging doesn't usually produce such drastic reactions, but more common isolating behaviors limit many humans from developing complete, full, (and fulfilled), happy lives. Loneliness is not a road to happiness. Belonging is essential. 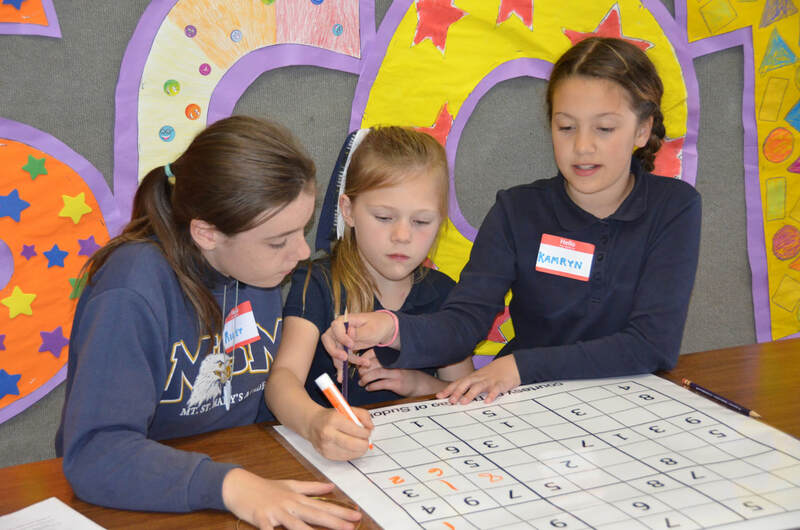 Elementary age children are learning to make friends outside their families, some more successful than others in developing this crucial skill. 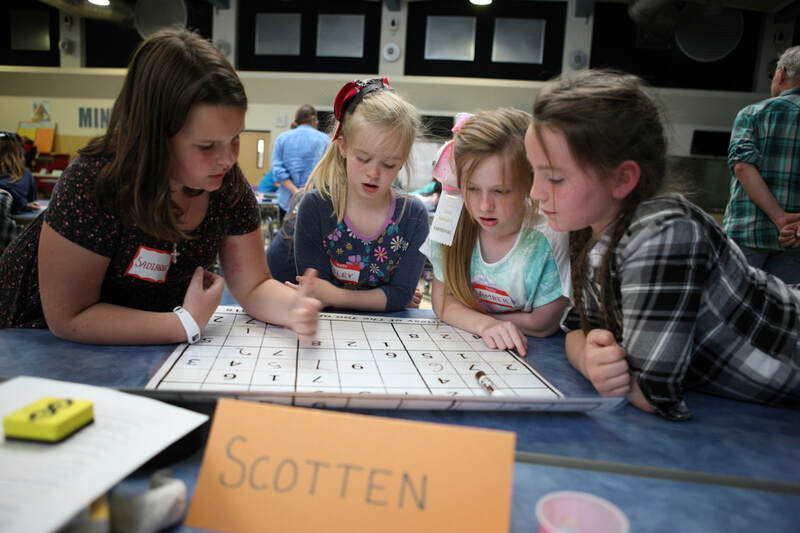 Team Sudoku provides them an ideal opportunity to learn valuable belonging. A certain bonding happens when children work together towards a common goal. 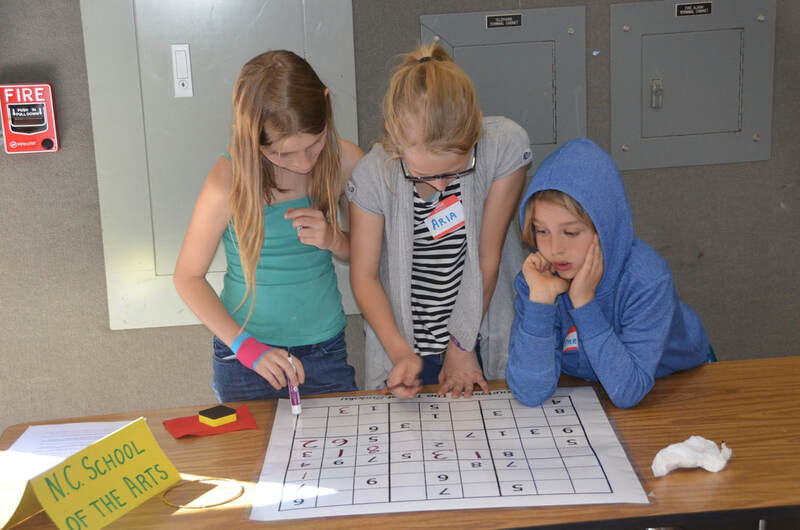 They often learn necessary skills for making friends while solving puzzles as a team. Being on a team is thrilling to many nine year olds, particularly those lacking athleticism. Working together on a team is always more attractive to children than working alone. 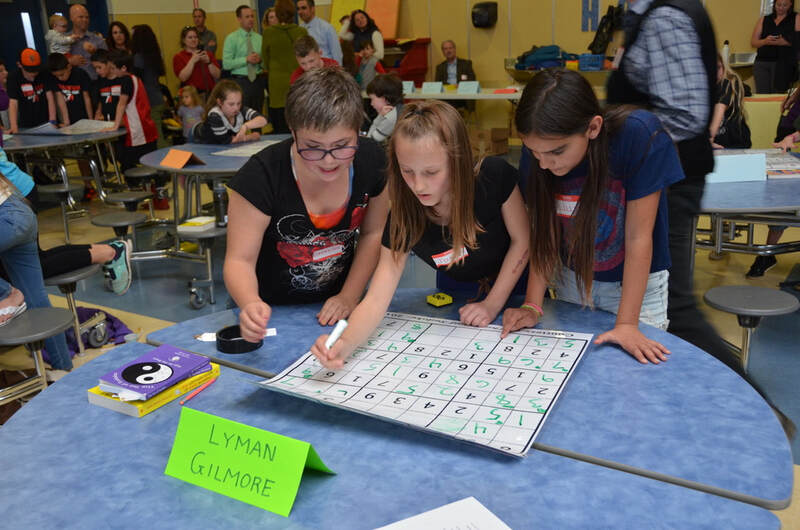 Because of this, more children engaged in our team tournament than would have participated if it was a solo competition. 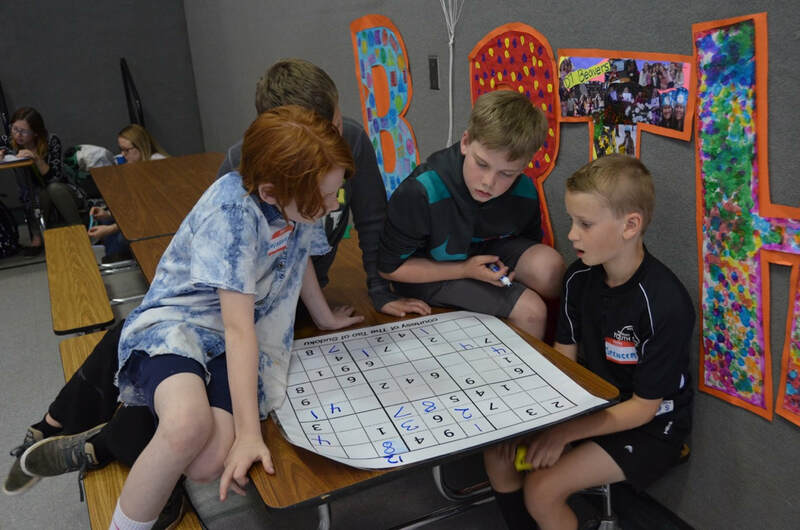 Team Sudoku trains communication and cooperation and leadership skills that are untouched by solo Sudoku, as beneficial as it is. 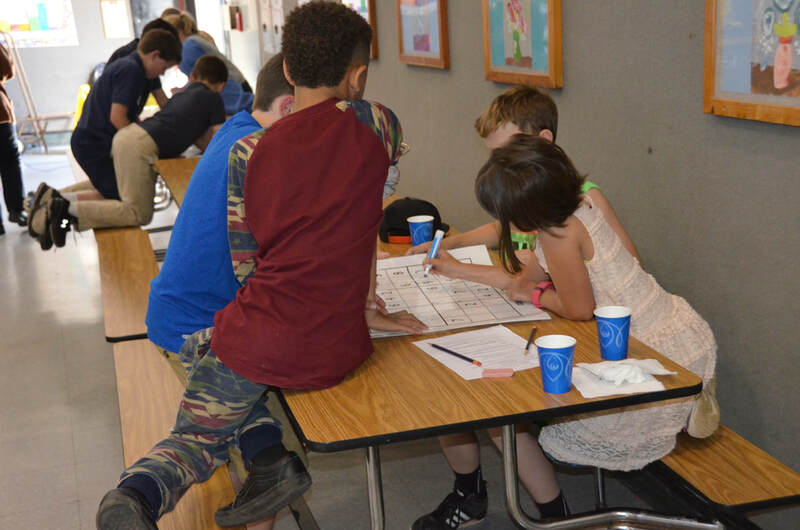 Observing the 20 teams ardently competing at our recent Children's Team Sudoku Tournament was convincing evidence that Team Sudoku works. 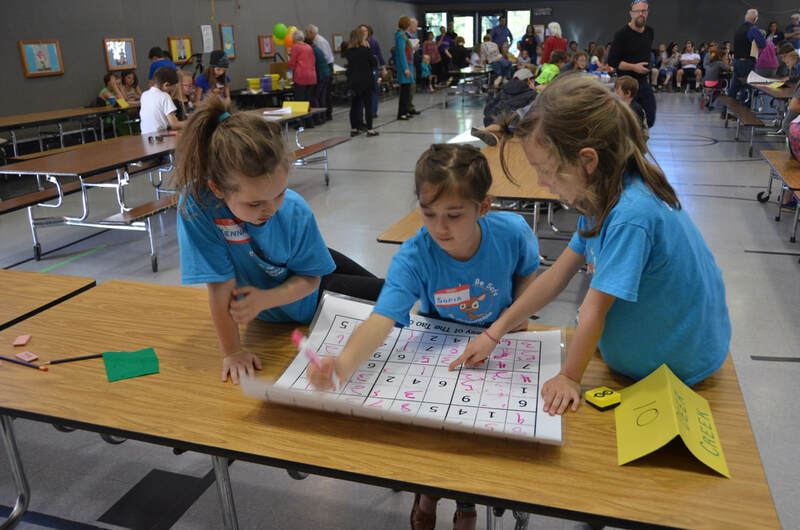 Their faces, expressing serious concentration, and their body languages, closely gathered in threes and fours around 20 enlarged puzzles, manifested a rare display of young kids quietly involved in a very mental group activity, with extended focus and desire. 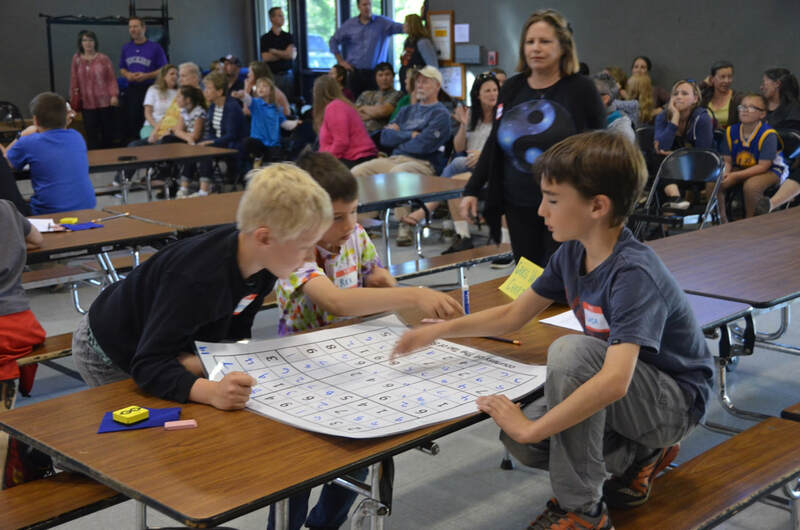 All of the photos below are from our first Team Sudoku Tournament held in April, 2017. Above, 1st place team from Chicago Park, with Una Kobrin. Above, 2nd place team from Deer Creek, with teacher and Jerry Martin. 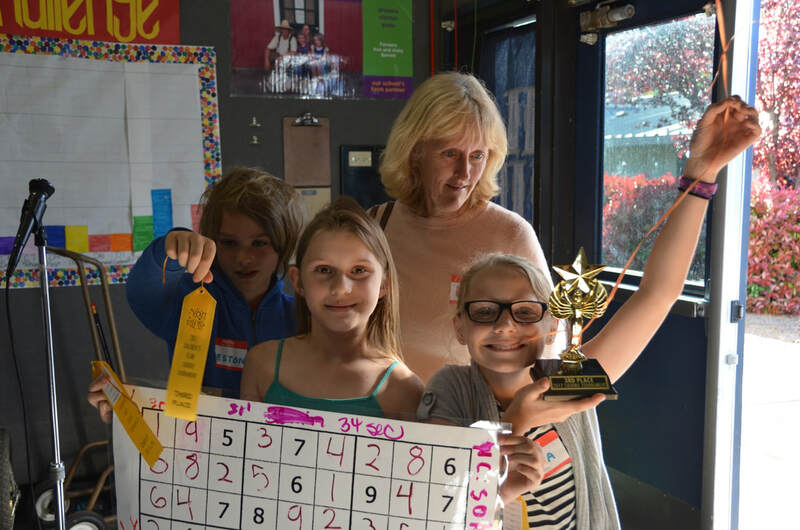 Above, 3rd place team from Nevada City School of the Arts, with teacher.